Recreate the tradition look of a timber window in the modern era, with a host of added benefits. These high-quality windows are available to enhance homes in Fleet, Hampshire and surrounding areas. Flush sash windows contain panes of glass that sit flush within the frame. This gives the exterior of your property a clean and sleek look, without compromising the quality of the window. With many homeowners unable to stray far from the traditional timber window, the flush sash window aims to replicate that of the old frame, with added benefits. This means it provides you with an excellent alternative, whilst also complying with planning and environmental restrictions. These windows are ideal for those looking to ensure their property stays warm and comfortable while adding a traditional feel. The flush sash window is suitable for any property made with traditional timber frames. With the use of slim sightlines, the flush sash windows provide a clean finish to the exterior of any property. This approach sees that less frame and more glass ensure enhanced views of the surrounding area are visible. It optimises the amount of natural light entering your home, which creates the illusion of more space, making every room feel brighter. Due to the unique properties found, each flush sash window is guaranteed to be low maintenance and easy to clean. This means all you’ll need to keep them looking brand new is a damp cloth and soapy water. They are also guaranteed never to rot, warp or discolour over time, which means you won’t need to replace them soon. All the flush sash windows on offer take inspiration from traditional timber window frames. This means when you replace your worn-out windows with the flush sash windows, you won’t need to worry about it looking different. 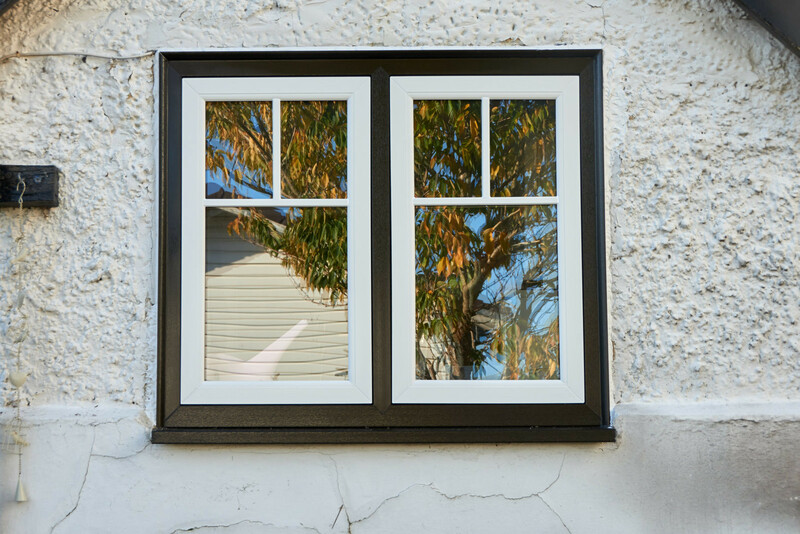 With a consistent look created when closed, our flush windows are able to enhance the authentic feel of your home, adding extra value. Contact us today for more information on our window installations. We supply and install flush sash windows to homes in Fleet, Farnham, Basingstoke, Hook, Aldershot, and surrounding Hampshire areas. Read on to find out more and use our online quoting engine for a guide price. Made from the highest-quality material, each flush sash window is guaranteed to make the eco-friendliest person completely satisfied. The frames used to produce the sturdy window are entirely lead-free, which means they are 100% recyclable. If you want to take a step closer to be eco-friendlier, installing flush sash windows is the perfect first step. Throughout the wide range of high-quality windows available, we can guarantee that they can delivery high energy ratings, making them more cost effective than their counterparts. This makes them an affordable investment compared to other options on the market. With their ability to provide A+ energy ratings, we are sure they will be the perfect choice for your period home. The enhanced technology found in modern day windows allow for high energy efficiency and thermal protection. The patented bubble gasket used in all flush sash windows protrudes around the frame, allowing for a better seal. This means your home is protected against cold draughts, loose fittings and is also resistant to any water entering your home. We pride ourselves on providing our customers with the best product at a reasonable price, making it a worthwhile investment. Available in a range of colour options, Liniar flush sash windows are to ensure your home is protected and warm, whilst also ensuring it looks good. They are the first company to secure a Secured By Design accreditation, making them the perfect choice for your home. Designed by Liniar, the flush sash windows they offer are manufactured to withstand any tough weather condition. You can fully customise the window to suit your design needs, making sure you are getting a product you desire. REHAU offer flush sash windows that are created from innovative designs to enhance and guarantee you are comfortable. With slim sightlines and more glass space available, it is guaranteed to enhance the views of your surrounding area, increasing the amount of natural light. Using only the best locking system on the market, each window is designed to give you peace of mind knowing you will be safe inside your home. The extensive range of colour options and finishes, alongside the range of glass options, make this window ideal for anyone. We understand that each window is bespoke to your home, which means the price should be too. Using our free online quote generator, you can get a price that is true to your desired product, quickly and easily. All you need to do is follow the step by step process and factor in all the customisation options applicable to you. If you don’t think the online quote system is for you, then give us a call on 01252 623404 Talking to our trusted team of experts can get you a quote in minutes. Remember to factor in all the customisation options applicable to you to ensure you are getting a quote that is a true reflection of your desired product. We can guarantee to provide you with a high-quality product, and exceptional service. Unlike their counterparts, Liniar windows provide exquisite profiles to match the high-quality window produced. This helps to improve the thermal efficiency of your home. By trapping heat inside your home, and leaving the cold air out, we can guarantee that the flush sash window will help to reduce your energy bills, making it easier for you to save money. We understand the importance of keeping your friends and family safe inside your home, which is why all flush sash windows on offer come with the highest-level locking system as standard. With this in place, it makes it virtually impossible for unwanted visitors or potential intruders to break in. Keeping you and your family safe shouldn’t be compromised. Available in a wide range of highly durable customisation options, each flush sash window is fully customisable to ensure you are being provided with a product that fits the aesthetics of your home. Choose from a variety of colours, finishes and glass options to enhance the natural aesthetic of your home. All the customisation options are guaranteed not to rot, warp or discolour over time.